On hand to present, Ashlee Simpson Ross struck a pose on the red carpet this evening(October 9th) at the 2018 American Music awards at the Microsoft Theater in LA. 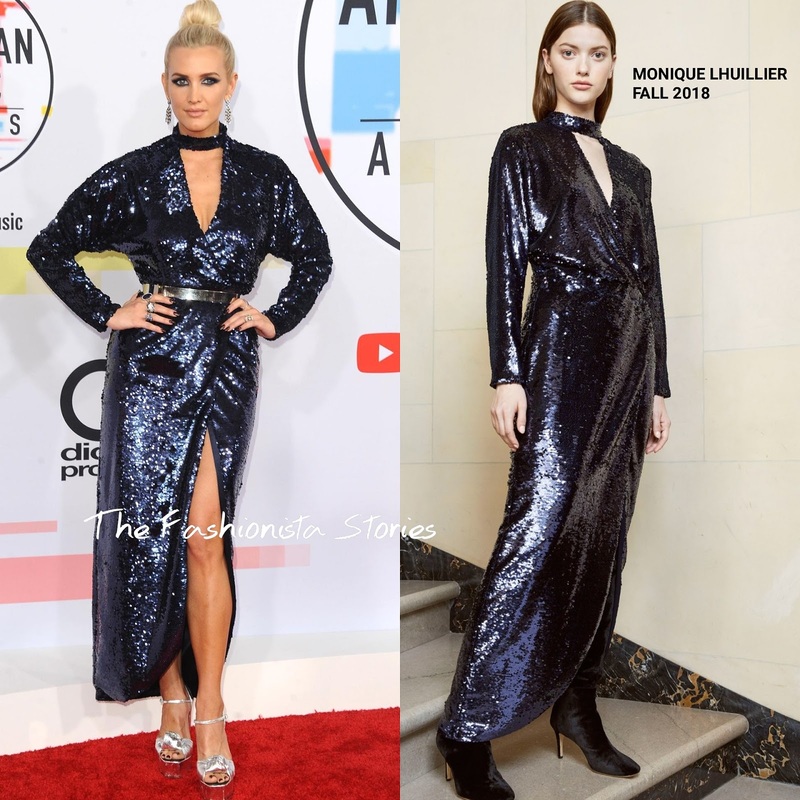 Utilizing the split on her dress, she wore a MONIQUE LHUILLIER FALL 2018 long sleeve navy faux wrap sequin dress, with a cutout v-neck. While her dress wasn't belted in the look book, I am glad that she added one. It nipped her dress nicely at the waist, with a better shape than on the model. She finished up with a GIUSEPPE ZANOTTI sandals, EFFY rings, smokey eyes and a high bun.